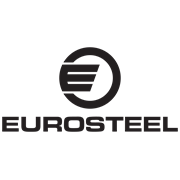 EuroSteel posts are built tough to endure New Zealand’s harsh conditions. Whether you are looking at building a fence on a budget, or just need a post for general industrial and DIY applications, the combination of high grade steel and black bitumen coating ensures a lightweight solution and long lasting performance. Pre-punched holes to ensure superior wire alignment, and available in several lengths.